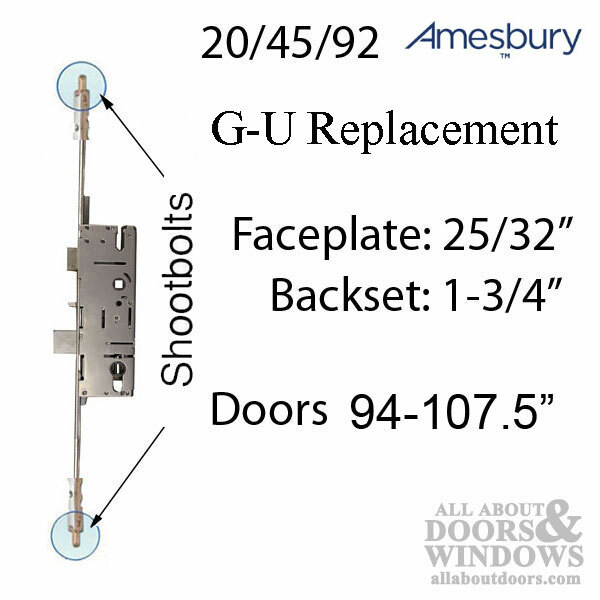 20mm Adjustable 45/92 Shootbolt Replacement, Doors 94" - 107.5"
The GU Multipoint lock with 20mm faceplate has been discontinued. This is a Replacement Option. Please read all information and be sure you understand. Replacement Hardware for Discontinued Old Style G-U 20/50/92 Shootbolt # 4990319. 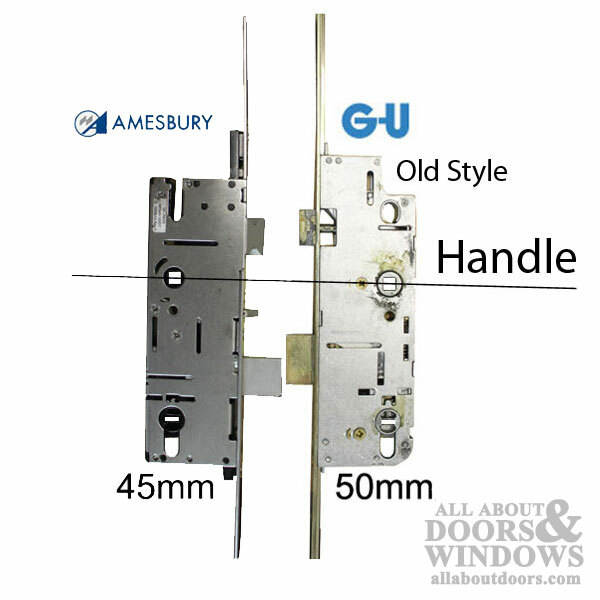 The old style GU Shoot bolt MP lock had a 20mm faceplate, 50mm backset and 35" handle height. 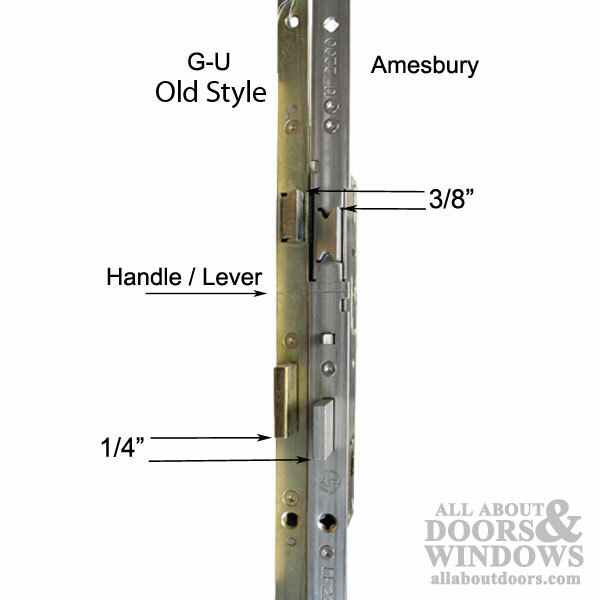 The latch and deadbolt of the new style are in different locations; about 1/4 - 3/8 inch difference. See additional images for comparisons. 1. Best recommendation - Enlarge holes in strike to accommodate the new latch and deadbolt locations. 2. Move the new lock up 1/2” - 7/16” - Allows the strike to remain in place and bottom shoot bolt is adjustable, so that is not an issue. This would change the handle height to 35-1/2” and may expose the screw holes from the old trim. 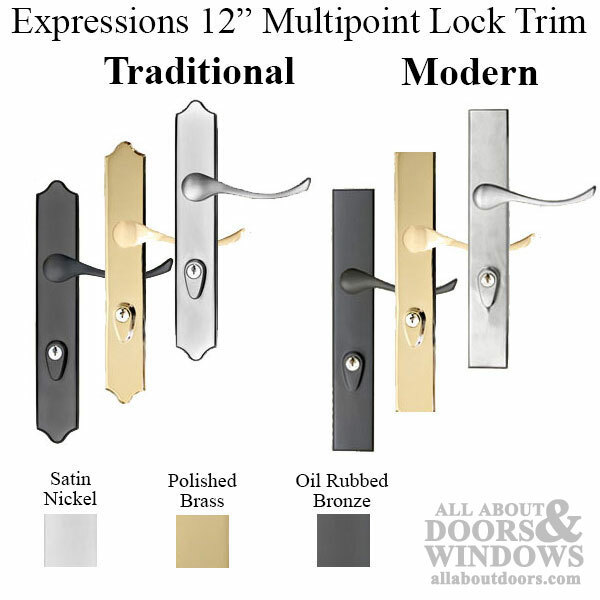 Holes can be covered by using the 2” x 12” trim plate (read below about for handle set replacement options). 3. Least recommended - Move strike - Not highly suggested since this leaves marks on jamb and is a problem for vinyl doors. Door Panel Height: Fits doors from 94" - 107.5"
Double doors could be a problem for this trim, no thumb turn on passive side. Kit # 499060019 - 20-2094 20mm Middle SB Extension, Doors 68-81-1/2"
Kit # 499060020 - 20-2295 20mm Middle SB Extension, Doors 81- 94.5"
Kit # 499060021 - 20-2296 20mm Middle SB Extension, Doors 94" - 107.5"
Contact office if you have double French Doors.